Downsizing, liquidating an estate, appraising values of a collection or a single item – we do it all. We are here to help you understand the options available and make the transition stress free. Our team has a diverse background and years of experience. Consultations are free. The responsibility of an estate can be overwhelming and stressful. 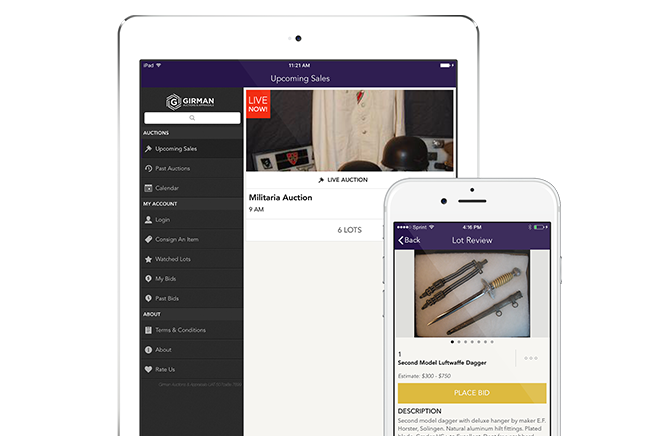 Girman Auctions & Appraisals will help you prioritize your goals then work with you to achieve them whether auctioning a few items or liquidating an entire estate. As a member in good standing of CAGA (Certified Appraisers Guild of America) Bernie works with attorneys, executors, insurance companies and individuals to provide professional, accurate, fair. A licensed auctioneer in PA, Bernie has the skills and experience to conduct auctions on site, in house and online giving our consignors important options. We are always seeking single items or entire estates for our auctions.